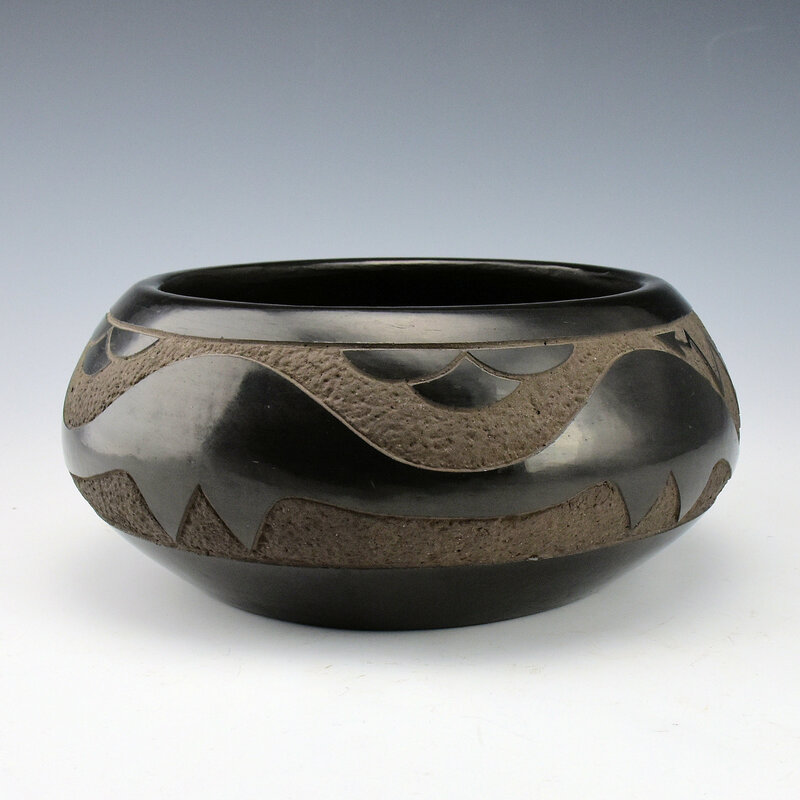 This bowl by John Gonzales is from 1995. 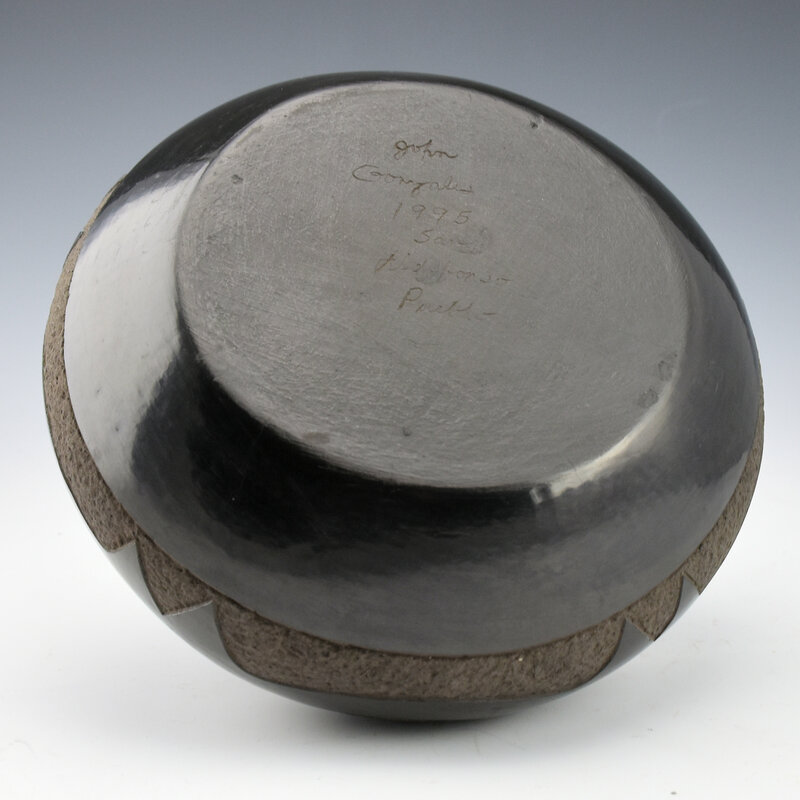 It is one of his few piece which is polished as opposed to matte clay slips. 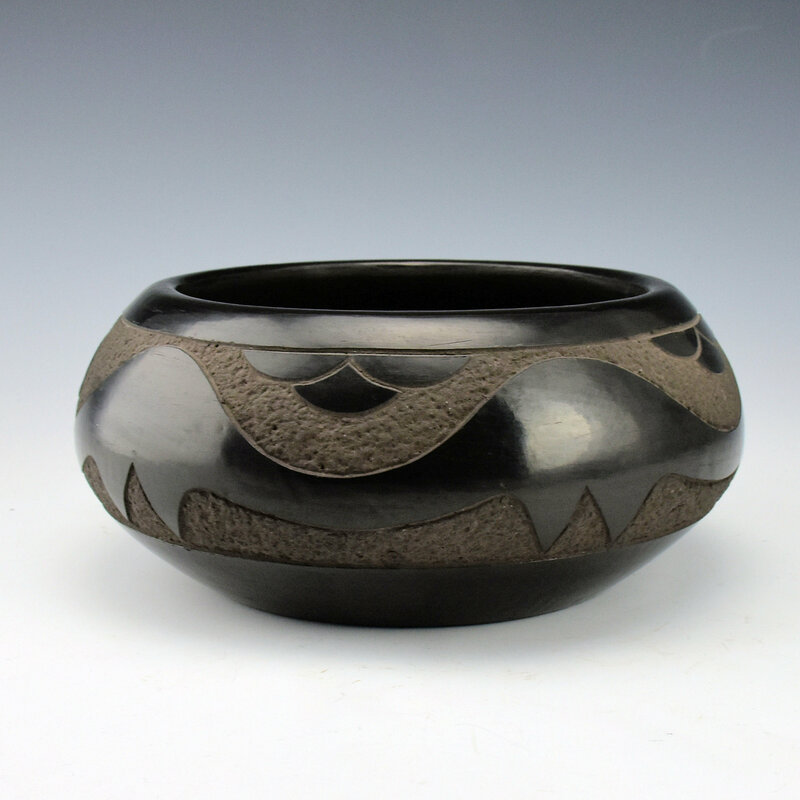 The bowl is fully polished and has an avanyu etched into the clay. 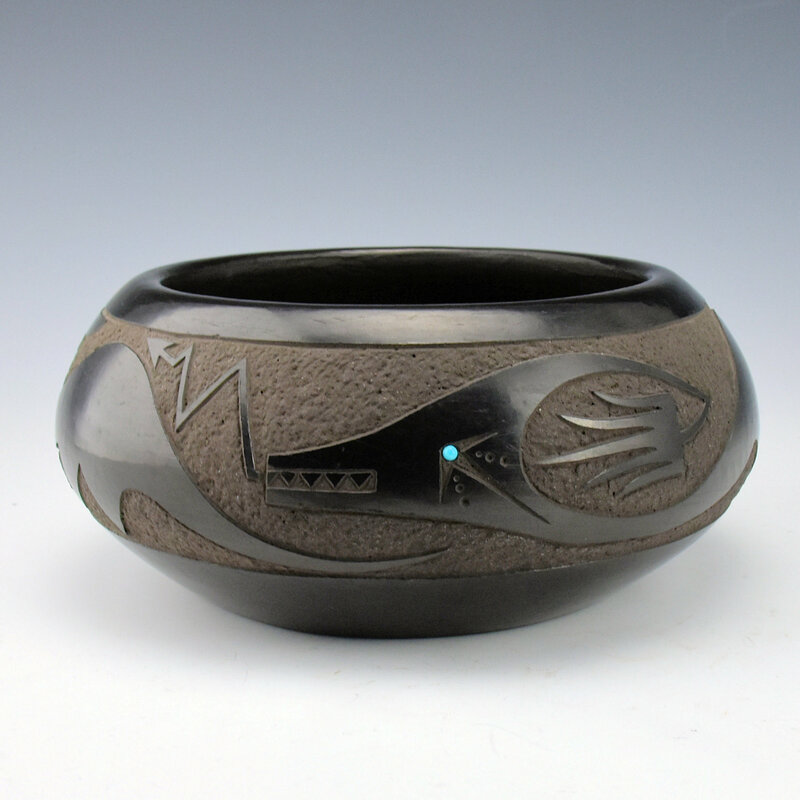 The avanyu encircles the bowl and there is a single inset piece of turquoise for the eye. The bowl is in very good condition with no chips, cracks, restoration or repair. It is signed on the bottom.